Tate, William F 39 fair 5' 10" brown dark miner Ireland May 28, 1864 Philadelphia PA 54045979 Wounds and Injuries of the Head, 3rd result of 11 regarding 100th PA; Medical and Surgical History of the Civil War 1861-1865 Per ACWRD, On 2/29/1864 he mustered into "F" Co.; died May 28, 1864 from wound rec at Spottsylvania CH, VA, May 12, 1864. Taylor, Thomas I 18 June 10, 1863 Louisville KY 3294519 Buried in Nat Cem, Sec B row 1 grave 87 (Cave Hill Cemetery). Templeton, Aaron A 25 farmer West Middletown, Pa. Nov 29, 1863 Fort Saunders TN X 10343578 Memorial Page, Aaron Templeton and Isaac Garretson On 8/27/1861 he mustered into "A" Co.
(No further record); middle initial should be "M"; Bates roster is incorrect. 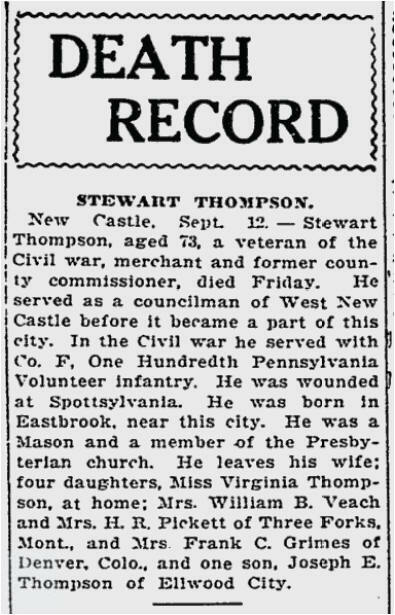 * Accidentally wounded (date and place not stated); Other Information: born in 1832; died in Pittsburgh, PA; last name Thornburg? Thompson, Jas. B. A 30 farmer Washington, Pa. Aug 17, 1864 Andersonville GA X 51144974 On 8/31/1861 he mustered into "A" Co.; He died of disease as POW on 8/17/1864 at Andersonville, GA (Starved); Listed as a POW at Cold Harbor, VA 6-2-1864; died of disease. Thompson, Sam'l. F. A 19 fair 5' 11" blue dark farmer West Middletown, Pa. Wood River, Hall County NE March 19, 1895 Hall County NE 22188535 Gunshot Wound; per ACWRD: On 8/27/1861 he mustered into "A" Co.; He was Mustered Out on 7/24/1865 (Absent at MO); death date, wounded twice, once 8-3-1864 (place unknown) and at Fort Stedman 3-25-1865 at Petersburg VA. (Websmith note: findagrave info looks to be a match based on same county and state as 1890 census, same name and middle initial and very close death date--within 3 days--March 16, 1895; no service info on gravestone or GAR marker. Thompson, Uriah F 27 farmer Feb 12, 1865 New Castle PA X 60244712 Per ACWRD, On 8/31/1861 he mustered into "F" Co.; He was discharged on 12/7/1862Eastbrook Presbyterian Cemetery; death date per ACWRD. * 1/16/1863 from company I to company K; taken prisoner at Fort Stedman 3-25-1864, taken to Richmond and paroled; age 14 at enlistment!! 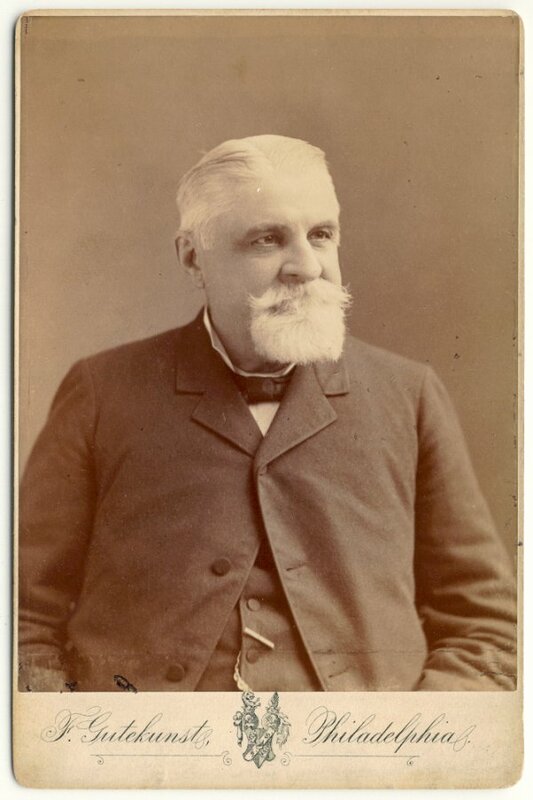 Lived in Youngstown, OH in 1880. Tidball, Thomas S. G 21 Johnson Co., Tecumseh, NE May 9, 1839 8-Dec-1915 Milford NE X 59393551 buried in Blue Mound Cem. 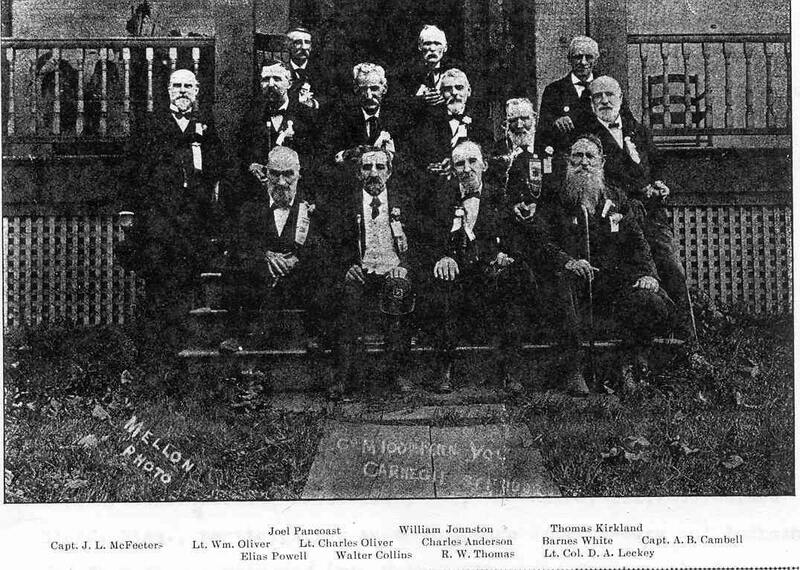 Tidball, Thomas S. I 21 Likely the same Thomas S. Tidball as joined Co. G.
Tobingier, C. C. A 21 X Laurelville, PA June 7, 1840 1916 Fitzgerald GA X 34325623 X "Lobingier" is correct last name; Bates was incorrect. 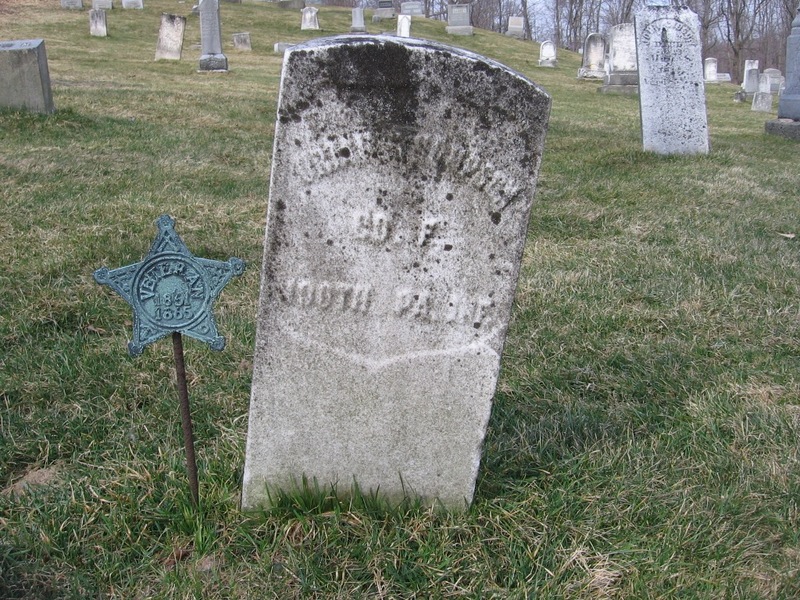 Tolson, Joseph D 21 7-May-1922 Mercersburg PA not found 1865 Draftee. Torr, William D 22 8-Mar-1909 Basford, Nothingham, England not found 1865 Substitute; mustered out with regiment. Toy, William D 29 dark 5' 6" grey dark sportsman Beaver Co. New Galilee PA Washington Co. PA April 23, 1835 1892 Beaver Co. PA 54057405 On 9/16/1861 he mustered into "D" Co.
Trump, Isaiah D 25 engineer Aug 13, 1862 Potomac River--Drowned VA not found Died on Steamer "West Point". Trusdle, Robert C 20 not found 1865 Substitute. Turk, John I 45 Lawrence Co., New Castle before 1890 60541760 X On 12/7/1861 he mustered into "I" Co.